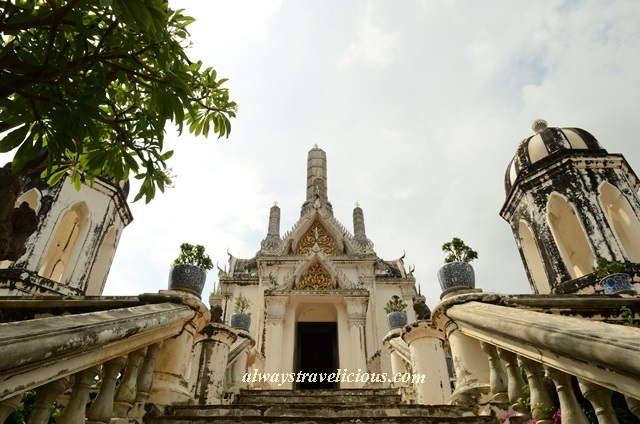 Phra Nakhon Khiri Historical Park @ Phetchaburi Thailand - Always Travelicious ! 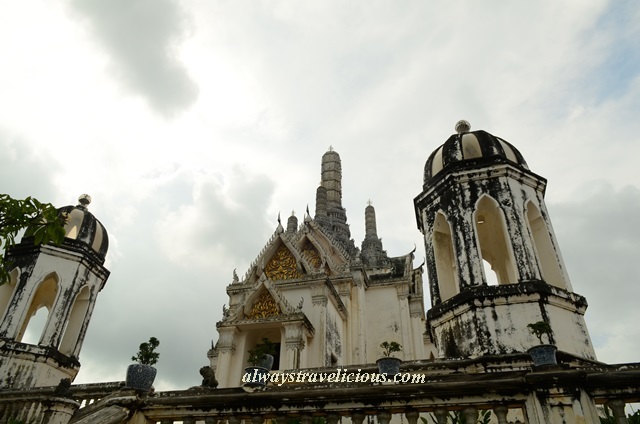 I visited the Phra Nakhon Khiri Historical Park in Phetchaburi as part of day trip from Hua Hin. Not knowing too much about the park, I decided to visit it because I was simply intrigued by the seemingly faraway and mysterious looking group of structures atop the hill. I later found out it’s the Wat Phra Kaew (Temple of the Emerald Buddha) on the Eastern Peak, built in the same configuration as the one in the Grand Palace in Bangkok. 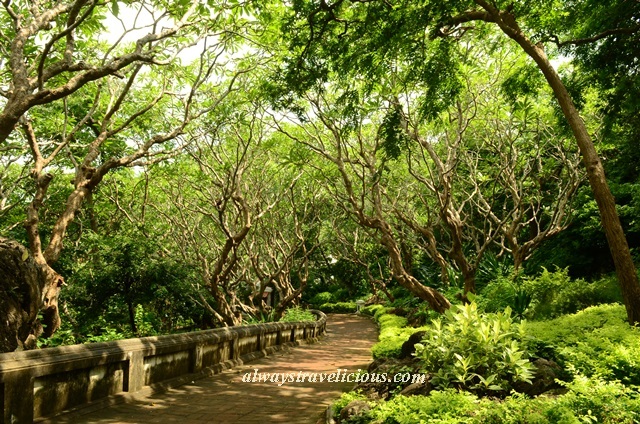 Getting to the hill top was effortless with the help of the cable car, which takes you to the Western Peak, where the Royal Palace of King Mongkut (Rama IV) is located, and hence the park is also known as “Khao Wan” or “Hill with Palace”. 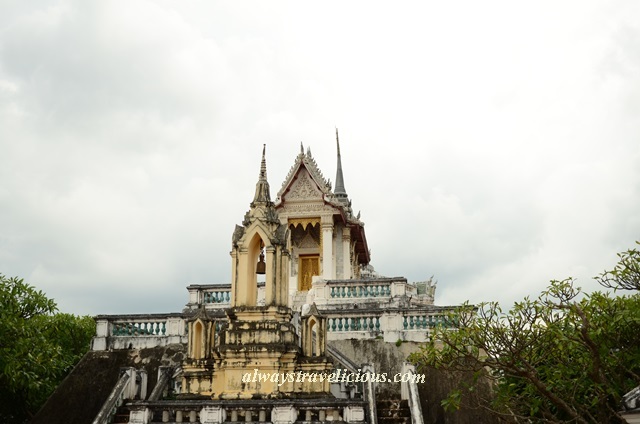 The staircase lined with ceramic plant pots leads you to the palace, where you catch a glimpse of how the Thai royals lived their opulent lives where living quarters, bedrooms and meeting rooms are maintained. Unfortunately no photography is allowed inside the palace. The Ho Chatchawan Wiang Chai Tower was used by the King as the observatory tower, and it’s also the best place to view the complex of Wat Phra Kaew Temple on the Eastern Peak. Not too far away from the palace is the Phra Thi Nang Wetchayan Prasat, a place of worship for the Thai Royals. The Central and Eastern peaks are about 15 – 20 minutes walk from Phra Thi Nang Wetchayan Prasat under a beautiful green canopy, a breezy and refreshing walk. The white chedi, or Phra That Chom Phet is on the Central Peak. Wat Phra Kaew Temple is on the Eastern Peak. 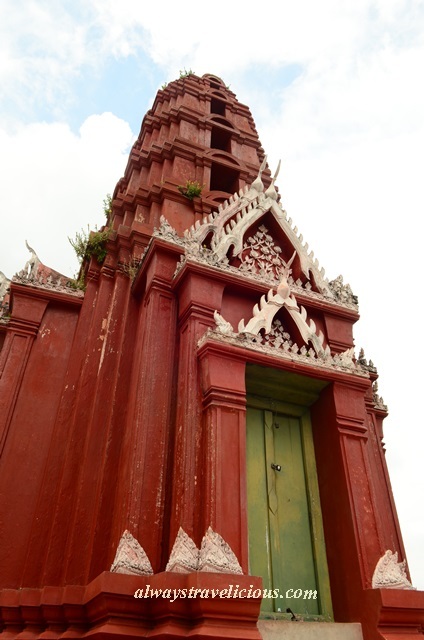 The red pagoda, or Chedi Deang is just opposite Wat Phra Khew. I really enjoyed the serenity, especially when it was not swamped by people; in fact, I was the only one there. Too bad there wasn’t too much explanation about the temples and buildings, as I am sure there are tons of stories behind these tattered structures. If you would like to know more about the park, you can check out these websites, Wikipedia or Renown Travel. Do be careful with your belongings because this is what happens when you are not – the monkeys will appear from out of nowhere and steal them ! There goes my water…. Getting there : We hired a cab for a day, daily rate is between 1200 Baht to 1500 Baht. Wow, both the Temple and Palace are gorgeous, KJ! And sooooo lush green. I love history and being at a place like this I always love to go off by myself (still with a view) and pretend I’m standing there back in the day, ya know? yeah, it’s fun to go off the beaten path sometimes. I like it a lot more when the place is not swamped by lots of tourists ! 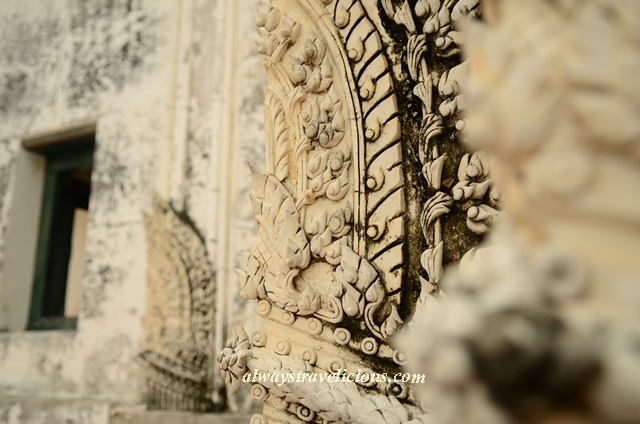 Pingback: Hua Hin Itinerary | Always Travelicious ! Different from the hustle and bustle of all the wats in Bangkok ! Yeah in Bangkok with the boats, cars zigzagging. But still amazing views there nonetheless. Hello Sir, Thanks for that wonderful review. however, I have a couple of questions. first is, How can I reach this place? I don’t want to rent a cab or taxi or anything, I just wanna go there like a commuter. Second is, can I cover all this place in just one day? Thank you so much sir and hope you will answer my questions. Hi. I am not sure how you can get there by public transport because I rented a cab. Perhaps you can check with the hotel where you are staying at. Yes you can definitely cover this place in one day. You won’t need the whole day. Maybe 2-3 hours. Enjoy !